Listeners of Triple J’s ‘Roots & All’ programme and ABC Regional Radio may already be familiar with the songs of Sara Tindley. Sara lives in the country near Byron Bay. 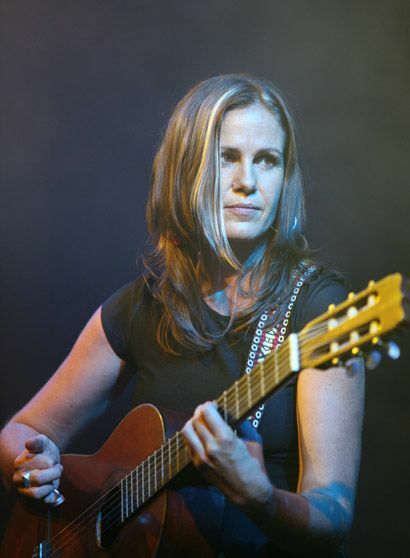 She is an emotionally honest and poetic singer songwriter who’s style could be described as folk, alt -country and pop. In her home town she is widely respected and adored. She was awarded the local music industry’s award for ‘Album of The Year’ in October 2006 for her debut solo album 5 Days. The very next evening was the launch of her latest album Lucky The Sun at the Byron Bay Community Centre. Radio National Breakfast’s ‘Album of The Week’ (Dec 06), Lucky The Sun has an addictive quality that keeps you coming back for more. With some very moving moments like True Believer, just Sara and piano... keeping it real, and the haunting Heart it was a Desert. Produced by Bill Chambers (yep, Kasey’s dad), Lucky The Sun perfectly captures Sara’s earthy, honest vocals and poetic lyrics of human emotion and landscape. I loved working on Sara's album. So rare to find such a great singer who writes amazing lyrics. Her songs make you believe she has lived them.